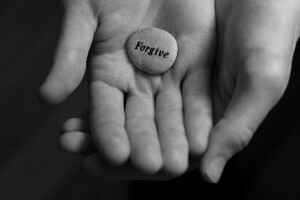 You are at:Home»Life Issues & Bioethics»Disability, Sickness & Suffering»How Can I Forgive When I Can’t Forget? “Forgiving God really comes down to not holding God responsible for something that he did not do. When we do this, we allow God to do the very thing that God does best–set us free from the pain.” Waltz said to recall that God shows us only love and mercy even to the extent of sending his only son to suffer for our sins and save us. After the resurrection and before his ascension, Jesus gave us the gift of peace, “Peace be with you.” (John 14:27). According to Waltz, it is that peace that people can find through forgiveness. He said that forgiveness does not mean forgetting and nor does it mean necessarily reconciling in all cases when we must forgive others. Instead, he explained that forgiveness of others means removing the debt they owe us. In the Gospel of Matthew18: 23-35 the parable of the unforgiving servant shows that forgiveness means removing a debt—that we no longer hold a person’s debt against them. In the story, a servant is forgiven a large debt but then he goes out and refuses to forgive a smaller debt. Thus, just as Christ died for the forgiveness of our sins—a very large debt–we must forgive others. Excellent article and advise. Very helpful. Good reminder for me this morning; thank you!